The limited-edition Paradise Collection Additives from CND are a dazzling array of additives, pigments, and effects that give texture to seasonable manis and pedis. The collection is a set of five bold colors in addition to a free CND thumb palette and mini spatula. 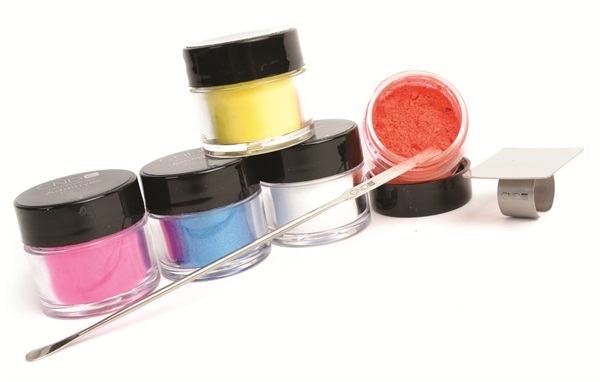 The additives produce sparkle, true pigments, or dramatic colors with a hint of shimmer. For more information, visit CND .